Metro's Nadine Lee speaking at today's Getaround car-share event. All photos by Joe Linton/Streetsblog L.A. This morning, Metro and Getaround announced a new partnership program to offer car-sharing at 27 Metro park-and-ride lots. According to Correa, San Francisco-based Getaround currently operates in eleven metropolitan markets. 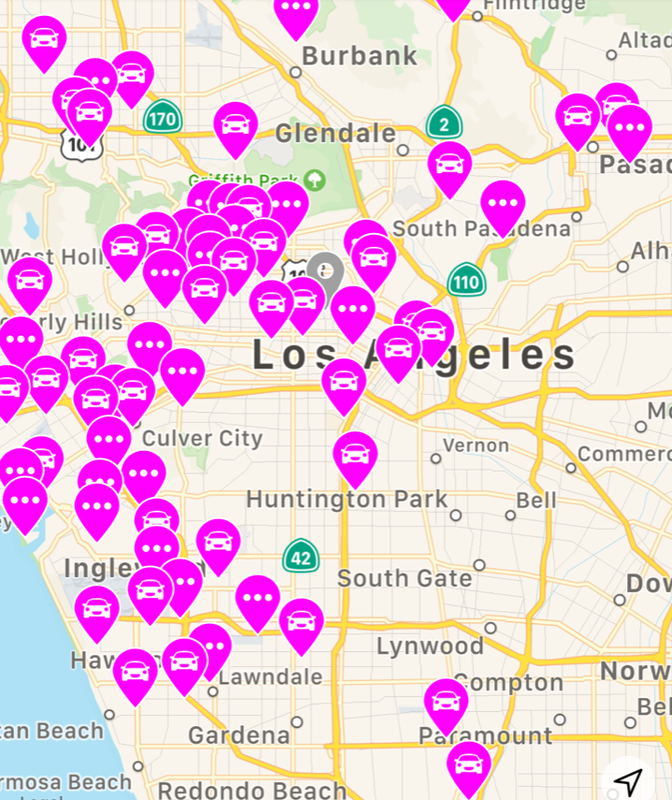 Getaround has been operating in L.A. since March 2018. 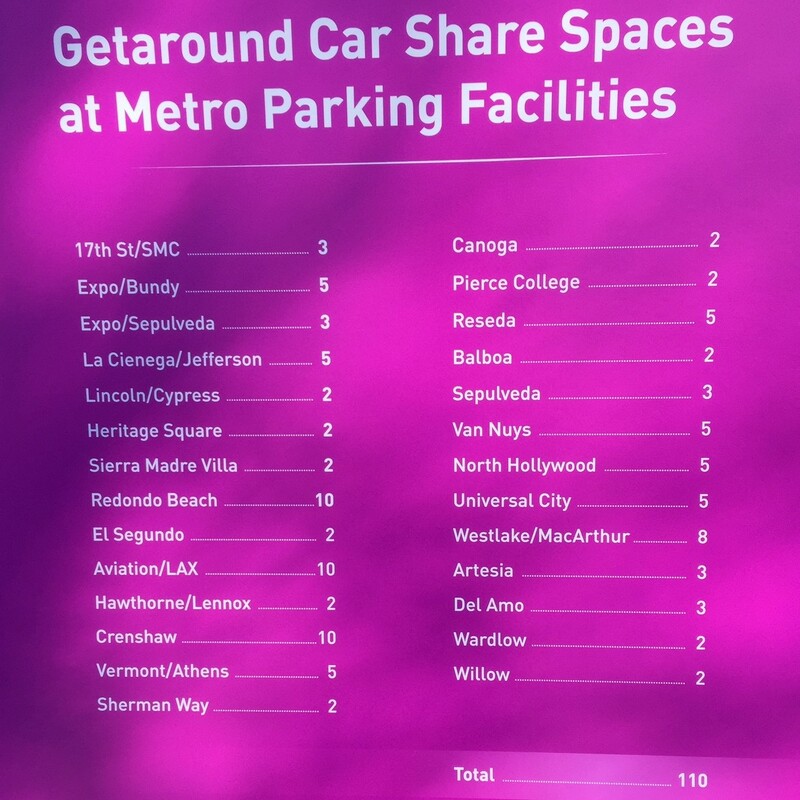 Getaround car-share cars are now available at 110 Metro station parking spaces on the Blue, Expo, Gold, Green, Orange, and Red/Purple Lines. Getaround is generally peer-to-peer car-share. Essentially it works somewhat like an AirBnB for cars: car owners can join the platform and make their cars available for people to rent out via the Getaround app. Car owners apply to Getaround and, if approved, the company installs “Getaround connect” hardware in the car. The hardware allows the car to be unlocked using the Getaround app, and also prevents theft by preventing the car from being used when there is no active reservation. Once an owner/car is approved for sharing, Getaround installs its hardware. Per Correa, the process from application to rental-ready typically takes less than two days. Correa stated that drivers typically make $300-500 per month renting out their cars. Getaround cars, presumably fleet cars, for rent at MacArthur Park station. Per Correa, peer-share cars do not need Getaround logo decals. According to Correa, Getaround uses some (non-peer-to-peer) third party fleet cars to kick off new markets. The cars at MacArthur Park station this morning appeared to all be fleet cars, branded with Getaround logos. When users apply, via the app, to join Getaround, the company verifies the person’s drivers license and credit. After verification, the person can then use the Getaround app to reserve cars. Reservations last from 15 minutes to seven days. 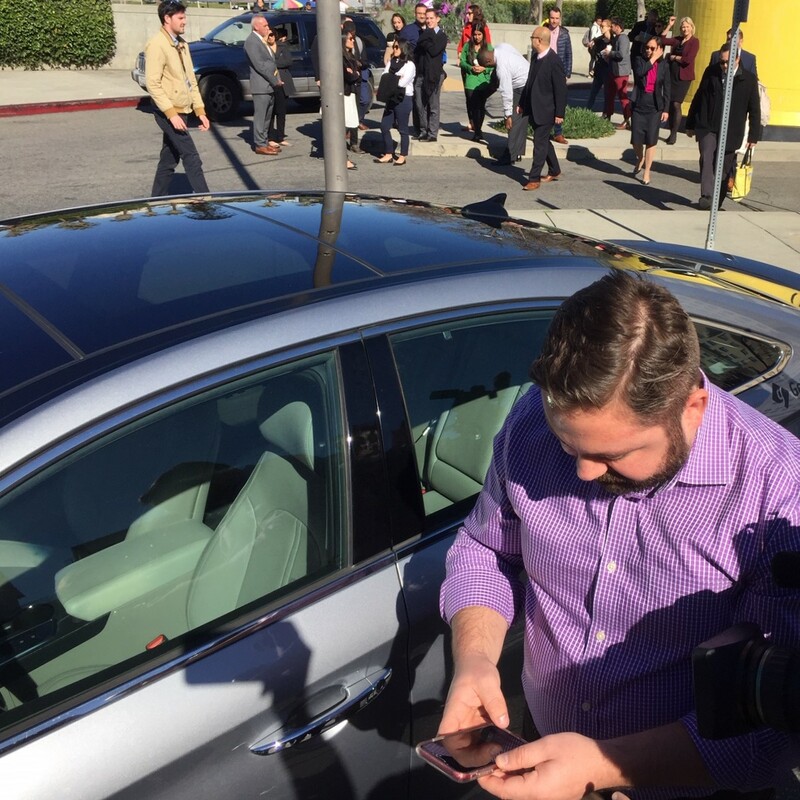 Customers pay by the hour “as low as $5 per hour” and use the app to unlock the car door. Trips start and end at the same location. 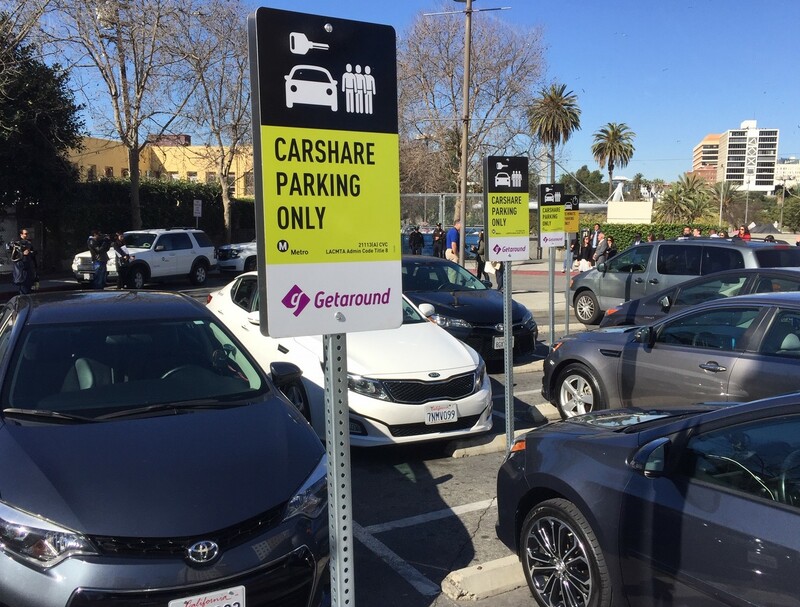 Readers – have tried Getaround or other peer-to-peer carsharing – either sharing your car or renting someone else’s? What was your experience? So… it’s zipcar. It’s just zipcar. 2003 called: it wants its mobility choices back.